Teddington are an award-winning electronic innovation, design, development and manufacturing company offering hardware design, software and firmware design, product prototyping and manufacture. With highly skilled engineers, fully equipped manufacturing engineering facilities and long-standing experience in the industry, it is clear that Teddington is the perfect electronic design and manufacturing partner for all aspects of your electronics project. We aim to provide support throughout your development, from the very early stages where your concept is being formulated, right through to full scale manufacture. Teddington recognises the time critical nature of many projects and so endeavours to provide complex and versatile solutions to our customers in time, within budget and to an exceptionally high standard using our tried and tested ‘5-stage’ development process. This is supported by the expansion of our own core technologies and systems, including the development of our own IP, which can be easily transferred to meet the needs of your project. At Teddington, we have our own in-house development engineers, covering electronic, electrical and mechanical disciplines. 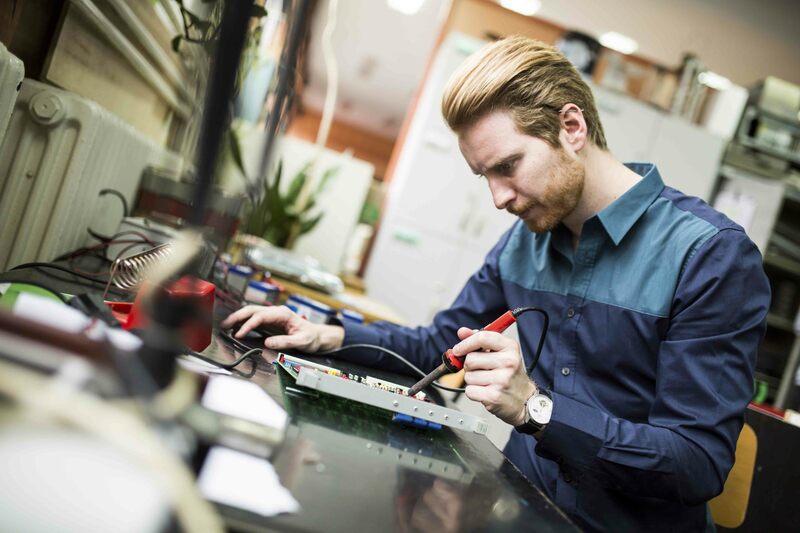 This means that Teddington can be your single point of contact to deliver new products and systems, from concept through to design and prototyping, to building, installation and commissioning, before producing a fully delivered solution ready for market. In short, Teddington is able to support you throughout the project cycle, providing a genuine end-to-end service. Our capabilities mean we can design products and systems that are modular, flexible, powerful and simple to integrate into virtually any target environment whilst retaining the ruggedness and reliability demanded by their industry. By engaging with us early in your development process, you are able to exploit our capabilities to the full. With extensive experience and a broad skills base, Teddington has significant knowledge and experience across a wide range of industries and markets. With hardware design, software and firmware design, prototyping and manufacture all under one roof, we believe that Teddington is the perfect partner for turning your design concepts into reality. To find out more about how we can help you engineer great ideas, contact us today.